Due to the recent departure of our Schools & Community Recycling Coordinator, we are temporarily holding off on scheduling any new tours until we have filled this position. 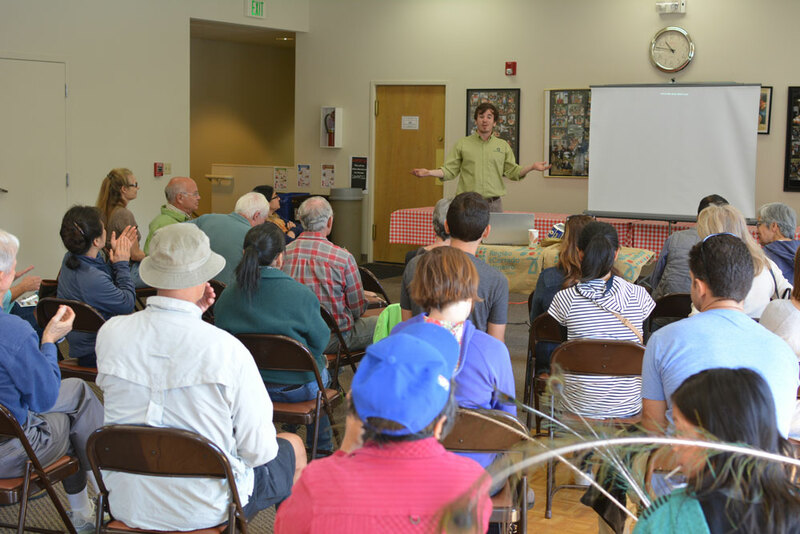 Please consider coming to one of our regularly-scheduled Community Tours. We will update this page once we have filled this position and are ready to schedule tours again. We really appreciate your patience! 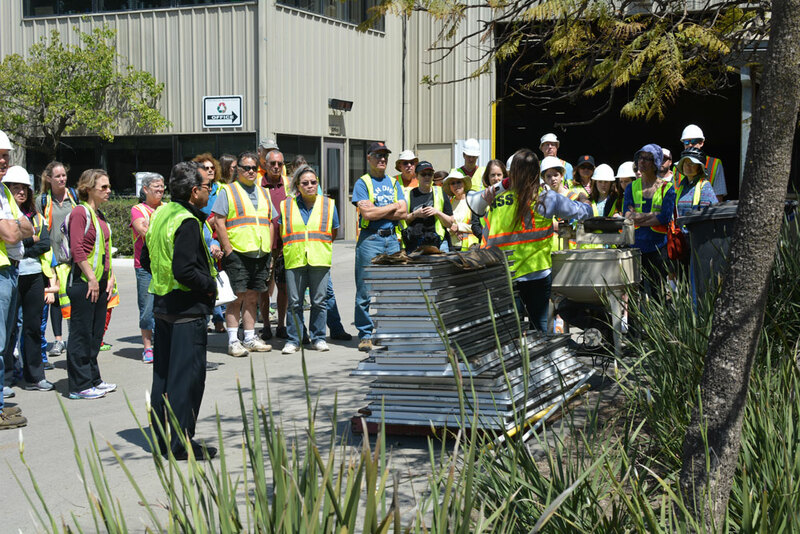 We invite our community to schedule individual or group tours of our San Rafael facility where you’ll see first-hand what happens to your garbage, recycling and compostables after we pick it up from your house. 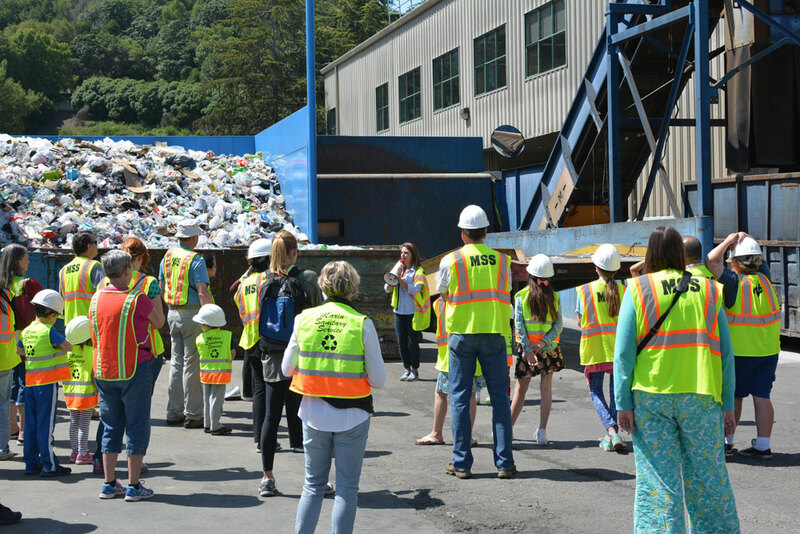 Whether you are interested in finding out how recyclables are sorted, what happens to garbage before it is transferred to the landfill, or simply want to visit our famous peacocks and pigs, we are happy to show you around! Our friendly tour guide is available on weekdays by appointment (see below for information) and if that doesn’t work, consider joining one of our Community Tours. All of our tours are absolutely free! We will meet outside of the Marin Recycling Center, located at 535 Jacoby Street in San Rafael. Please make sure to use this specific address, as typing “Marin Sanitary Service” into your phone/computer will take you to the incorrect location for the tour. 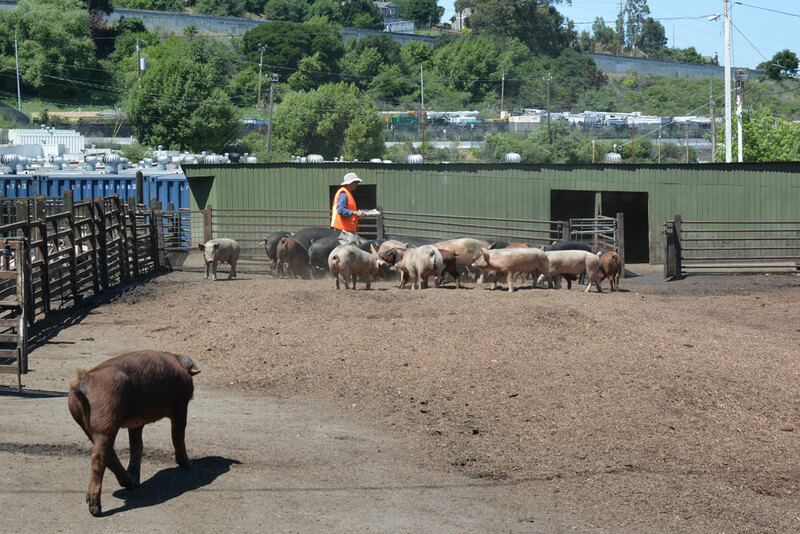 Our tour coordinator will be waiting outside of the Marin Recycling Center in a bright orange vest to help you with parking. Parking is extremely limited, please see our General Tour Guidelines. A typical tour lasts one and half hours including time in the classroom and walking around the facilities. 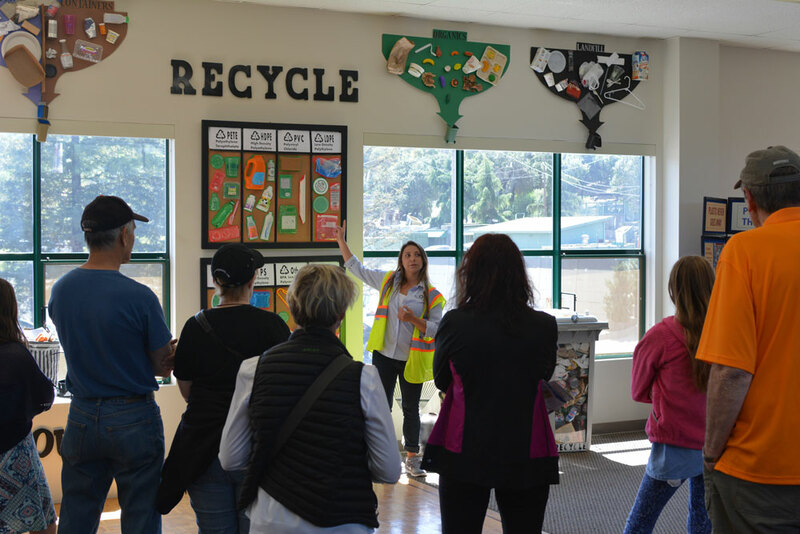 Your tour starts in our Educational Classroom where you’ll learn about the 4R’s (reduce, reuse, recycle and rot) and have the opportunity to ask all of your recycling/composting questions! 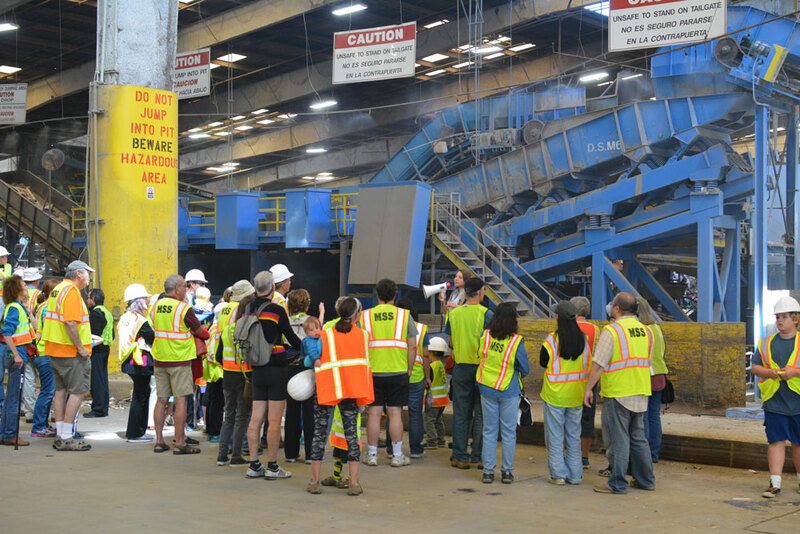 Then we’ll visit the Marin Recycling Center where you can see how your paper, plastic, glass and aluminum are sorted and baled for recycling. We’ll take you step-by-step through the recovery process and highlight the machinery that makes it happen. 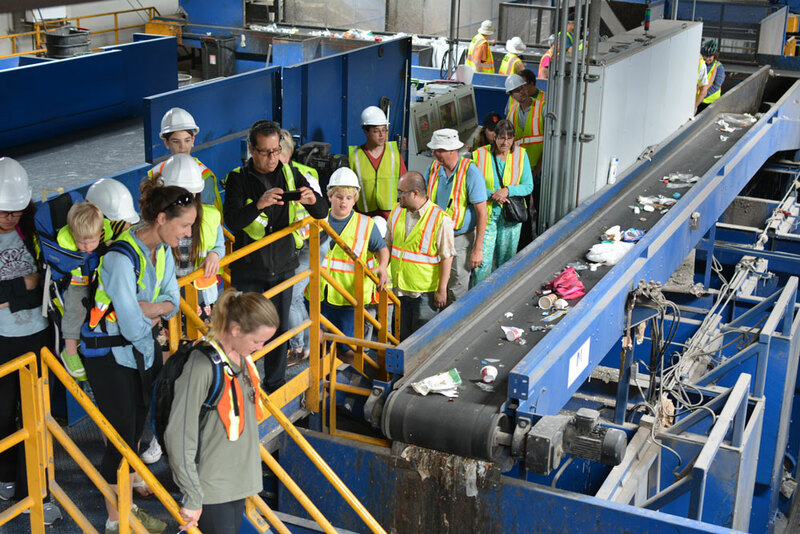 At the Transfer Station you’ll see where the garbage trucks roll in and learn what happens to your garbage before it is sent to the landfill. And finally, we’ll visit the famous Flying Can Ranch where you’ll meet our pigs, chickens and peacocks and learn how they contribute to our commitment to sustainability. All our tours are free! Our tours are for all ages. For safety purposes, we require that all tour participants come wearing closed-toed shoes. Additionally, due to the fact that the majority of the tour is located outside, please come wearing weather-appropriate attire. In the event that heavy rain is expected on the morning of the tour, we can do a “virtual” tour in the classroom or watch a recycling video of our facility. If these options do not work, your group would have the option to reschedule. For a full overview of our tour guidelines, please see our MSS General Tour Guidelines. Coming with young children? 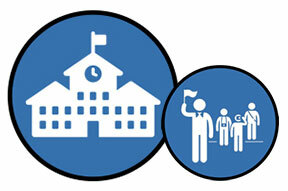 Check out our MSS Preschool Tour Policy. 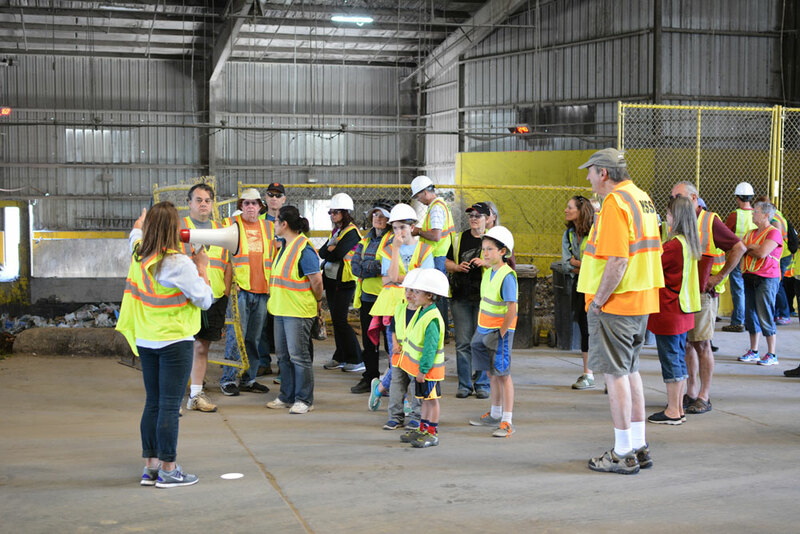 Children under the age of four and their chaperones are welcome to visit and learn more about recycling; however, the tour will be limited to the classroom. Contact a Tour Coordinator or call us at (415) 458-5539 and we’ll be happy to schedule a time for you to visit our facility.